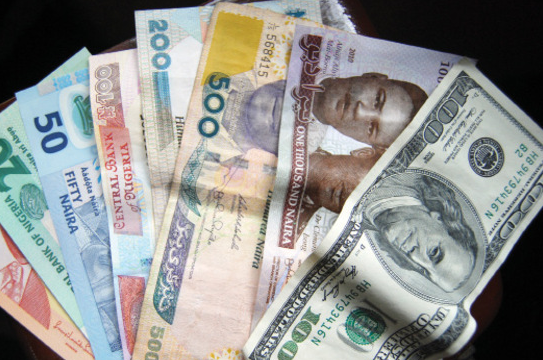 To many Nigerian bloggers, there’s only one way to make money from a blog: Google Adsense. To such people, it’s Adsense or nothing. That’s why they’re more than eager to get a Google Adsense account and start slapping up the ads on their blogs. And if their application for Adsense gets rejected, they feel like failed bloggers — because they don’t know of other monetization strategies. Even the few that are aware of other ways to make money from a blog can only mention two or three aside Adsense. Now, what if I told that there are well over 100 ways to monetize a blog? Yes, there are. But in this post, I will be revealing 10 easy ways to make money from your blog right here in Nigeria. Instead of having sleepless nights over the rejection of your application for an Adsense account or the ban of your account, you can sell ad space on your blog directly to advertisers. This way, you’ll take all the money and be in total control. Linda Ikeji and Paschal Okafor are examples of Nigerian bloggers who make good money from their blogs by selling ad space to advertisers. However, to attract advertisers to your blog, you need good traffic. No company will advertise on a blog attracting just 100 visitors per day. Businesses advertise on blogs that attract thousands of daily visits and page views. More importantly, advertisers love targeted traffic. That is, you should have a specific audience. A company selling smartphones and tablets would prefer to advertise on a technology blog, not on an entertainment blog. Why? Because the tech blog’s audience is that company’s target market. Even after you’ve started generating massive traffic on your blog, advertisers might not come by osmosis, especially if you’re in a competitive niche. So, you might need to contact them, telling them about your blog, your traffic, and the benefits they’ll gain from advertising on the blog. Constantly looking out for advertisers is the key to making money consistently from ad space selling. 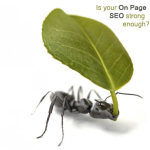 However, some blogs are popular enough to attract customers automatically. Instead of advertising directly by having their banners displayed on your blog, some advertisers will request that you write a post about their business, instead. In such post, you will introduce your readers to the business, review their products or services, and discuss how these offers can benefit your readers. As with display ads, you need huge, targeted traffic to attract advertisers to publish sponsored posts and reviews on your blog. 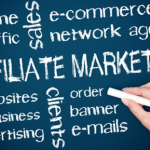 I have already explained affiliate marketing and how it works in one of my previous posts (click here to read it). So, I won’t be defining it here. Affiliate marketing is one of the most lucrative ways to monetize your blog, especially if you’re targeting a global audience. One good thing about this strategy is, you don’t need tons of visits to make good money from it. You have the option of either displaying affiliate banner ads on your blog or writing review posts about products that you’re marketing. I prefer the latter option because it helps your readers know more about the products and is more likely to convince them to make a purchase. Amazon and Commission Junction are examples of affiliate networks you can register with if you’re targeting a global audience. 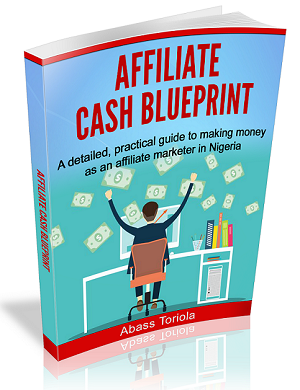 But if you’re looking for Nigerian affiliate programs, Jumia and Konga both have affiliate programs that pay good commissions. I guess you’re familiar with e-books. I mean, you’ve seen them on many blogs, where they’re either given away for free or put up for sale. You, too, can make money from your blog by writing an e-book and selling it to your blog readers. If your e-book is on a topic that many people really want to know more about, then it will sell well, and you’ll make good money. Similarly, you can create other digital products such as videos and podcasts — if you’re more comfortable with those. But for now, e-books sell better and faster than videos and other forms of digital content. The reasons? First, they’re more familiar with e-books. And second, most Nigerians cannot afford to spend the huge data on video downloads. If you’re really loaded with stuff that people are yearning to pay you to learn, you can create an e-course rather than an e-book or video. The main difference is that you’ll release the content of an e-course as lessons or modules over a specified period, and you’ll offer to answer questions and give other forms of support that participants might need. Bloggers make consistent income by repeatedly staging their e-courses after every two or three months. 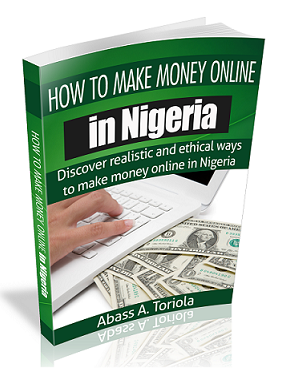 My good friend, Mr Muhammed Abdullahi Tosin of NaijaWritersCoach.com makes good money using this strategy. 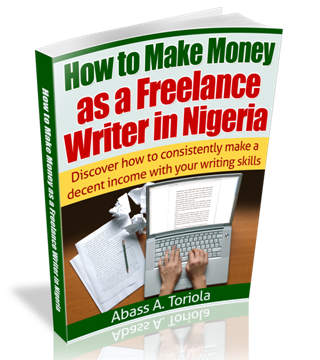 Presently, I’m running my e-course on freelance writing, the Writing Income Masterclass, which started on Monday, August 4, 2014. This is for the gurus. If you have years of experience in a particular field and have started a blog to share your knowledge with others, then you can make money by starting a consulting service. For example, if you’re a serial entrepreneur with many years of experience in the business world and a good number of successful businesses under your belt, you can make money from your blog by rendering your business consulting services to small business owners who are eager to learn how to grow their business. Mr Ajaero Tony Martins (of Mytopbusinessideas.com and Strategicbusinessteam.com) makes a killing each month from his blogs by consulting for small business owners in Nigeria and beyond. You can decide to set aside some topnotch information on your blog and turn that into premium content. That is, you charge your readers a certain fee to grant them access to your topnotch content. Similarly, you can set up a separate website or forum where you can share your topnotch content, but charge members a monthly access fee. This monetization strategy can only work for you if you’re really loaded with lots of valuable information that your readers can hardly find elsewhere. Copyblogger is one of the popular blogs I know that make money using this strategy. This simply means rendering services and getting paid on a per-contract basis without being formally attached to an employer. You can make money through your blog by rendering your services as a freelancer. This requires that you have a skill that people are willing to pay you for, though. Examples of such skills include writing (my forte), graphics design, blog installation and setup, and so on. If you have any such skills, create a “hire me” or “my services” page on your blog, so your readers will become aware of what you do and how they can benefit from it. What you can sell on your blog isn’t restricted to digital products. You can sell physical stuff, too. For example, if you’re a fashion blogger and have a small business that sells ladies wears and accessories, your blog can be an effective tool for marketing your business and for selling your products. Bear in mind, however, that you will need to devise a way to handle payment, shipping, and other vital issues. Parktel Online, a smartphone retail outlet in Lagos, adopts this strategy. They have a technology blog where they share information about latest tech devices and market their business. Another lucrative blog monetization strategy is to offer live training and seminars to those who are willing to learn from you. Many people learn better in a one-on-one, face-to-face setting. Such would prefer to pay for live training sessions and workshops. 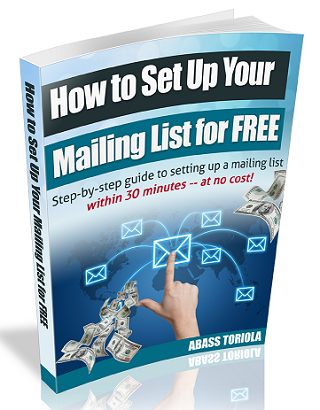 Akin Alabi makes good money by staging live seminars on information marketing. Now, if someone asks you how to monetize a blog, you now know a good number of answers to give. 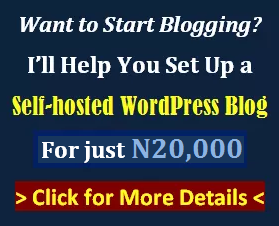 And as I stated earlier, there are still many more options, but I stayed put on these 10 because any serious Nigerian blogger can implement them easily. However, these strategies will only work for you after you’ve established yourself as an expert by consistently offering quality, valuable information for free. This is the only way to build trust, which will then convince your audience to buy whatever you have to sell. And it goes without saying that establishing authority and trust takes time. Don’t expect to make money from a blog after a few weeks or months of starting out. But if you have already built a huge following over time and have been deemed an expert by your audience, then go ahead to monetize using one or a combination of these strategies. They’ll surely work if you have loads of valuable and in-demand information. The only way to make money online is to sell something. Everyone who makes money online sells something. What we sell, how we sell, who we sell to, and when we sell might differ, but why we sell is the same: to make money. What do you think about this article? Do you have any objections, contributions, or questions? Share your thoughts by leaving a comment. And don’t forget to share this post on Facebook, Twitter, Google+, LinkedIn, and everywhere else. You’re awesome! 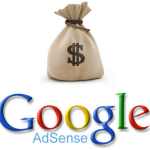 Can Google Adsense (And The Like) Really Fetch You Money? 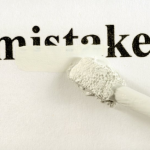 Can I Still Correct These Blogging Mistakes? this post sounds like a volcano on my head! what have i been doing? i must confess, most of the points mentioned on this post are new to me. kudos!sir, i just wanna asked if i can add forum to a blogspot blog or run forum on a blogspot blog domain? No, you cannot add a forum to a blogspot blog. You can do that only with WordPress, using BBPress or any other forum plugin (there are many of them available for WordPress users). I must confes that you give out loads of free info that others charge for, its inspiring going through your blog post as each write up is an xpose to the realities of making decent income online. I have my own share of online tale of woes and falure but im not gonna bore with it, all i can say is that your blog posts have given me the hope to believe again and currently im putting two and two together, strategising for a big comeback in a small way, after all big things always comes in handy. I will be reaching out to you very soon when im ready to put up my blog, thank you and Jah Bless! Thanks for your kind words. I’m more that eager to see your blog go live and to help you with tips on how to grow it. I wanted to get familiar with the system for a while. Now I’ve gotten this information will definitely move to my own domain really soon. This post is really helpful. And give me some personal advice and tips, base on what you see. Good you’ve gotten into the blogging game for some time. I don’t know what niche you’re into because I didn’t bother checking your blog. Why? Because you can’t achieve anything with a .wordpress.com blog. WordPress.com will never allow you to monetize that blog. Did you know that before? great post and really insightful. private ads tends to be more lucrative than any other. a person can make 100% profit especially when not using a third party website like buysellda.com. Does uba verve also work wit paypal??? Verve is a local technology that foreign payment gateways hardly recognize; your chances of successfully linking your Verve powered card with Paypal is thus quite slim, if not outrightly non- existent. Instead of Verve and Interwswitch powered cards, try using the Visa or Master Card variants. Ok? Useful info Abass, first and furmost i must tell you am not pleased for not been able to register for the e-course. The reason being that my schedules are very tight because of a project am handling. I hardly have the time to update my blog. Am not too rich to ask others to do it either so am moving slowly and steadily for now. Presently am earning my major fund from my ebooks and as a ghost writer for two firms. All am still working hard at is traffic especially targeted ones. Thanks for the post, am already researching on affiliates marketing, can you suggest any one for my blog? My blog is http://www.websuccessboost.com, its a self improvement blog that teaches viewers to utilize their writing skills judiciously by earning money from it. But i do not know the kind of affiliates to sign up for. Since having a blog is necessary for any writer who wants to make money online, why not encourage your readers to set up their own self-hosted blogs, while you promote web hosting services as an affiliate? I think that’s a good idea. Once again, a very timely (and super interesting) entry. My heart bleeds when I visit a blog and see Adsense flying all over the place. The question I usually ask: ‘Is such a blogger offering content or ads?’ Usually, such bloggers do not know better, I’m sure. And to imagine they are paid peanuts! All the tips you have shared here are quite excellent…and I completely endorse all of them. Great post sir. What most people don’t know is that the way an offline business is run is the same way an online business should be run, I.e. you must have something to offer in terms of service or goods to sell. Your post just gave me new ideas, thanks once again. You’re welcome. I’m glad you found the post helpful. Great post sir. You must have something to sell or f*ck off.